Quick note: Eric is Eric Vinje, founder and owner of Planet Natural, the Bozeman-based organic gardening outlet which recently sold ten pounds of ladybugs to a couple of apartment complexes in New York City to control aphids and other pests, a move into organic pest-control that was written up in the NY Times and then nationally. Eric is also my boss, sort of — more on this in the upcoming entry The Accidental Interview — and my personal gardening guru, the guy I go to about leaf miners in my spinach and chard and gnats in my house; he’s who I ask about the best foliar fertilizers, and he hands me some sort of jar and says, "Here, try this," and generally it works pretty well. These are his tips below. Few pursuits are as rewarding as growing your own organic garden. However, it’s not always an easy task. 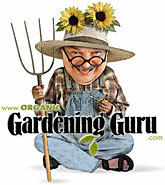 With this in mind, and a large coffee cup in hand, I’ve put together fifty of my favorite organic gardening tips. 1. Harvest herbs early in the morning just as the dew evaporates but before the heat of the day, so leaves will still be full of their own essential oils and flavors. 2. Coffee grounds make excellent mulch around acid-loving plants. 3. When growing in containers, plants should be sized to the pot and pots should be sized to the space available. 4. Dry herbs at the end of the summer by tying sprigs together to form small bunches. Tie them with a rubber band and hang, tips down, in a dry, dark place. Keep the bunches small to ensure good air circulation. Store dry in labeled canning jars, either crumbled or whole. Freezing is also a good way to preserve herbs. 5. Garden soil that has been well mulched and occasionally amended requires only about a 1-inch layer of compost yearly to maintain its quality. 6. For successful peas, start them indoors. The germination rate is much higher, and the seedlings will be healthier and better able to fight off pests. 7. Garlic, leeks and shallots make great outdoor container plants. They have very few insect and disease problems, have shallow roots and take up very little space. 8. Know your insects. Learn what the different life-cycle stages look like for both beneficial insects and pests – you don’t want to accidentally "rub out" the good guys. 9. When growing roses, fertilize after each flush of blooms and then stop fertilizing about two months before the first frost. 10. Most indoor plants are killed by over-watering. Watch for yellow leaves, and do not water until the surface of the soil is dry..
11. Try to water plants deeply and thoroughly. Frequent, shallow waterings train your plants to keep their roots near the soil surface, making them less hardy and more likely to suffer when deprived of water. 12. 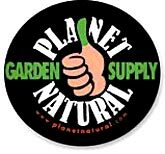 Plants native to your area are naturally adapted to the pre-existing growing conditions. They will require much less work to stay healthy. 13. Keep dirt off vegetable leaves (thus preventing molds and fungi) by spreading a 1-2 inch layer of mulch around each plant. This also helps control weeds and prevent moisture loss. 14. Add comfrey to the compost pile. Its leaves are rich in nitrogen and help break down organic materials. 15. Garden vegetables that become over-ripe will attract some pests. Remove them as soon as possible to avoid detection. 16. As a general rule, indoor plants will thrive when temperatures are between 65-75° Fahrenheit. Temperatures can fluctuate by 10° Fahrenheit from this range without harming plants. 17. When purchasing tomato starts for your garden, look for healthy green plants with thick stems and no tomatoes or flowers. 18. Organic fertilizers release nutrients slowly, allowing garden plants to absorb nutrients efficiently. 19. Indoor seedlings require plenty of light. Use a grow light (up to 18 hours per day) or keep them in an area that receives plenty of sunlight. 20. In general, thinner-leaved plants need more water to stay alive, while thicker-leaved plants need less. 21. Water your garden in the early morning to conserve moisture loss and to help avoid fungal diseases that are often spread by high humidity levels. 22. Milk jugs, soda bottles and other plastic containers make great mini-greenhouses to place over your plants and protect them from frost. 23. When growing indoors, watch closely for signs of nutrient deficiencies. Remember, every time you water, nutrients are leached out of the soil. 24. Paint or purchase garden tools that have brightly colored handles. They will be much easier to find when left behind with your plants. 25. Weekly applications of compost tea will improve plant health and ward off many fungal diseases. 26. Do not use softened water when watering plants. The salts can build up in the soil and kill plants. 27. If you’re not confident in your seed-starting abilities, one of the best places to get organically started vegetables is your local farmers market. Very often the person selling them is the person who grew them in the first place. 28. If roots are found coming out of the drainage hole located at the bottom of the plant’s container, it’s probably time to repot the plant. 29. When planting tomatoes, cover the stem with soil all the way up to the first set of leaves. This encourages strong root growth, which produces healthier plants. 30. Compost bins and piles can either be layered – alternating layers of greens (grass clippings, vegetable scraps) and browns (leaves, peanut shells) – or the ingredients can all be thrown in together and thoroughly mixed. Either method will work! 31. Disease-prone plants such as roses should be planted in areas that receive plenty of morning sun. It helps evaporate dew more quickly, which keeps leaves dry and fungal diseases at bay. 32. Avoid using railroad ties and pressure-treated wood near your vegetable garden; the chemicals used as preservatives are considered to be toxic. 33. When tomato plants grow to 3-feet tall, remove many of the leaves from the bottom third of the stem. These leaves receive very little sunlight and are often the first to develop fungal problems. 34. In most cases, collect herbs for cooking right before they flower. This is when they have the most flavor. 35. Earthworms are beneficial to both soil and plants, increasing air space in the soil and leaving behind worm castings for plants. Do what you can to encourage earthworms in your garden. 36. Many soft-bodied pests such as spider mites, aphids, thrips, and leafhoppers can be knocked off plants with a strong hose spray. 37. Pick off spent flowers to encourage more flowers. Once a plant forms seeds, it figures its flowering days are done. 38. Do not compost fats, pet droppings, or animal products. They will not only smell, but will attract pests to the pile and can spread disease. 39. Select a simple container to showcase an exotic looking plant or a flashy pot to make an ordinary plant stand out. 40. Brew compost tea by mixing equal parts compost and water and let it sit. Pour the tea directly onto the soil around growing plants. Dilute this to 4 parts water to 1 part compost for use on seedlings. 41. Do not use garden soil as a potting mix. It may drain poorly and is likely to contain insects, diseases, and weed seeds. 42. When planting containers, fill them with soil to within one inch of the top to allow room for watering. 43. A simple five percent increase in organic material (compost, well-aged animal manure) quadruples the soil’s ability to store water. 44. Botanical insecticides (pyrethrum, rotenone) are derived from plants, and can be more toxic than some chemical pesticides. They are, however, better for the environment and its inhabitants because they break down quickly and are less likely to accumulate in the food chain or leach into the water table. 45. Plant vegetables in a different garden spot each year to help reduce pest and disease problems, as well as correct nutrient deficiencies and excesses. 46. Pest control begins with healthy soil. It produces healthy plants, which are better able to withstand disease and insect damage. 47. Compost is not a fertilizer. It builds up organic matter in the soil. 48. If you have a small garden space but want a lush look, try staggering your plants instead of planting them in rows. You’ll be able to fit more plants in while still giving them enough room. 49. Attract beneficial insects like ladybugs and lacewings by raising nectar-producing plants such as fennel, parsley, and dill.